Striped bass are a popular gamefish that has been introduced to many water bodies outside of their natural range of the Atlantic Coast of North America. They migrate between fresh and saltwater environments, though there are many landlocked stripers as well. As a means to further expand the freshwater range of this fish, striped bass are often hybridized with white bass (called hybrid striped bass). The flesh of a striper is a pinkish-white firm texture with a rich taste, though it differs depending on where it was caught. This fish can be broiled, poached, smoked, steamed, pan fried, or grilled. 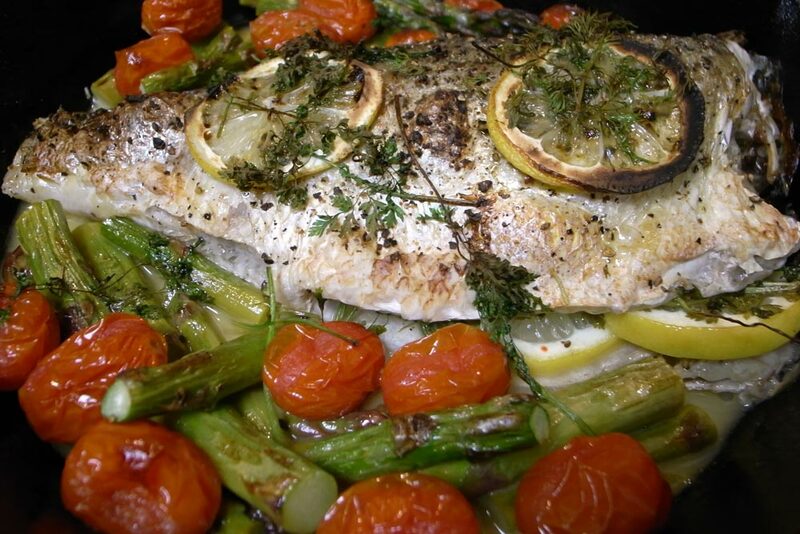 When purchasing striped bass from a store, make sure that the fillets have a sweet, seawater fresh smell and are of uniform color, free of drying and browning. There's more to a striped bass than just the fillets. Don't forget the triangles of meat behind the gills, commonly called 'collars.' But most important of all, the cheeks are the best tasting flesh on the fish. These disc-shaped meats make a perfect snack or appetizer to the main course. Like with many other species of fish, the best tasting striped bass are smaller in size than your typical trophy catch. Anywhere striper between a foot-and-a-half to three feet in length is good eating. Beyond that, the meat is coarser and contains more mercury, which greatly affects the taste of the flesh.